Kylie Gervasio has found her own on the court and in the school since joining the girls’ volleyball team. Coming into the season, Whitman-Hanson Regional High girls’ volleyball head coach Ashley Balbian had a question mark penciled in for a key position — setter. Little did she know that area of concern would be shored up by someone who last played competitively over 2,600 miles away in senior Kylie Gervasio. Gervasio and her family moved from Whitman to Arizona when she was 10, only to return at the beginning of last year’s school year. Unfortunately for her, their move back occurred after tryouts so she missed the season. For Gervasio, who played the sport throughout middle school and high school, not competing in nearly two years was tough, but when the season inched closer, she made sure to sharpen her skills. “When I knew tryouts were coming up, I went out to the beach and volleyball courts with my best friend Jennifer and we practiced because she’s also a volleyball player and she helped me get back into it,” Gervasio said. Balbian said Gervasio’s positive energy at tryouts caught her eye immediately and blended in with the rest of her returners. That positive energy Gervasio and her Panthers teammates convey has made her joining the roster, which consists mostly of girls she had never met prior to tryouts, a seamless transition she said. 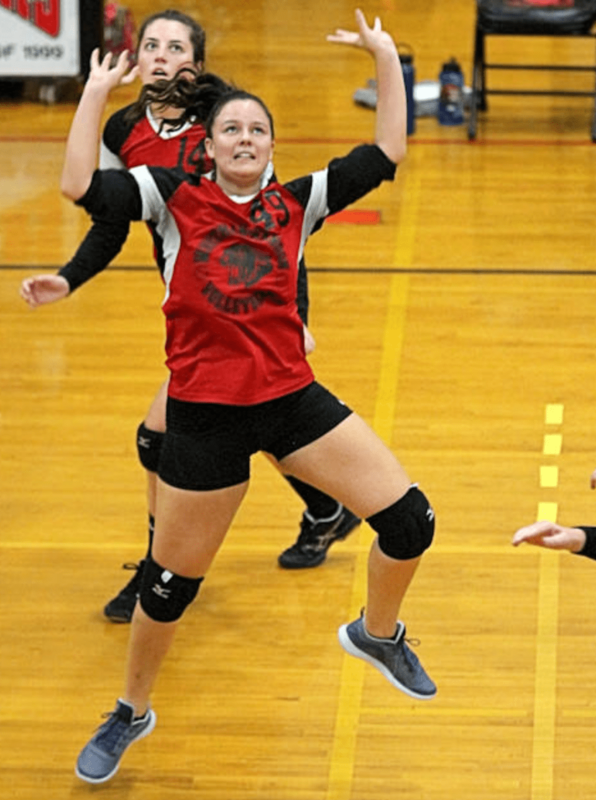 Joining the volleyball team has just provided it with a boost, but its benefited her as well. Balbian said the Panthers’ 3-2 victory over Hanover on Sept. 17 (14 assists) and their 3-1 loss to Hingham on Sept. 28 (15 assists) stick out among many strong efforts put forth by Gervasio. Balbian said she expects to see much of the same production from her senior as the season wears on.